For couples that have reached an agreement on their marital issues and are ready for divorce without any disagreements, then our Gadsden divorce lawyers & attorneys should be able to help you get a quick and easy uncontested divorce in Etowah County, Alabama. An uncontested divorce means all marital issues have been resolved. This includes issues such as property distribution and custody – basically it means there are no outstanding disagreements or issues for a judge to decide. Each of you can simply sign the settlement agreement and file it with the Court. Once the judge approves it with no court hearings then you’ll be able to obtain a divorce decree without needing to step foot into the courthouse. The most straightforward way to get a divorce in Alabama is via an uncontested divorce. Should you be looking for a cheap divorce lawyer in Gadsden, Altoona, Rainbow City or anywhere in Etowah County or the surrounding areas, then call us today. Please be aware that these prices don’t include the court’s filing fee which in Etowah County is approximately $203. Call our Anniston divorce lawyer to find out the filing fee in your county. 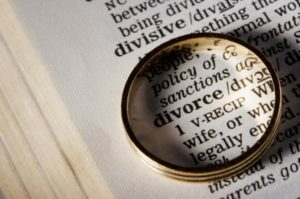 If you live in Gadsden or the surrounding areas of Altoona, Ridgeville, Sardis City, Southside, Rainbow City, Glencoe, Boaz, or Attalla, then you will likely be filing your divorce in Etowah County. Gadsden is the county seat of Etowah County and the county courthouse is located downtown. Many counties have certain local requirements and Etowah County is no different. This is why it is important to retain a divorce attorney that is licensed to practice law in Alabama and regularly files divorces in your county, since they will be familiar with such local rules. In Etowah County you have to go to Court to give testimony in front of the judge. You cannot do a divorce without a hearing here, due to this local procedural requirement. In most counties you can give testimony by signing an affidavit and that is the evidence presented to judge that allows them to grant your divorce. Here you have to give testimony in open court in front of judge. They set a scheduled time and day and you go and answer a few questions in front of the judge. Since our local divorce lawyer has to appear in Court with you for this hearing, we do charge $100 extra for uncontested divorces in Etowah County. If you are looking into filing for divorce in the Gadsden area, you and your spouse will need to know whether it will be contested divorce or uncontested divorce. You’ll know if it ‘s an uncontested divorce if you two reach an agreement that doesn’t involve a judge getting involved. It is known as an uncontested divorce when there are no contested issues in the case. Any other way that you file for divorce is usually considered a contested divorce since at the divorce presumable still has issues that need to be resolved. If you live in Gadsden or Oxford then your contested or uncontested divorce will likely be filed in the Courthouse of Etowah County. Our Gadsden divorce lawyers routinely handle matters in the Etowah County Courts and the surrounding areas of Altoona, Ridgeville, Sardis City, Southside, Rainbow City, Glencoe, Boaz, or Attalla. We file uncontested divorces in every county in the State of Alabama, including in Etowah County. When an uncontested divorce status can’t be reached, you will need to go the contested divorce route. When there is no agreement in a contested case, it will need to start with a Complaint for divorce. With a Complaint, you are asking the court to grant you whatever it is that you want from the marriage and it will have to be delivered or served on the other spouse in accordance with the laws of the State of Alabama. From the moment your spouse is served this document, they have thirty days to respond by filing a document called an Answer.Typically in the Answer, the spouse will deny the claims in the Complaint and respond with a request for whatever it is that they want from the marriage. Once this point is reached, both sides either negotiate and reach an agreement or there will be a trial for the judge to determine these contested issues for the parties. If you do not have any significant property in the marriage and all issues related to the children have been agreed upon already, then you may be able to avoid such complexities by filing for an uncontested divorce. Give our Gadsden divorce lawyer a call today for a consultation. Divorce is a taxing process that takes a financial and emotional toll on the parties involved. Because of the unpleasant and intrusive nature of divorces, it is in the best interest of both spouses to keep it as simple as possible so it can be over with the least amount of trouble and as quickly as possible to allow each person to move on with their lives. If a couple can reach an agreement on all their marital issues, it can seriously simplify the process before ever getting a Gadsden divorce lawyer involved. If this is possible, they can opt for an uncontested divorce which ends up being faster and cheaper than a contested divorce. For those in need of a cheap divorce in Gadsden we invite you to call our office today for more information. The most straightforward way to obtain a divorce in Alabama is through the uncontested divorce process. However, it requires that you both reach an agreement before getting the divorce lawyer involved. This includes issues like child support, physical and legal custody, visitation, property division, and all other marital issues. Should these issues still be up for debate, you will need to go the contested divorce route. There are a few procedural requirements that are unique to Etowah County Courts, but our Gadsden divorce lawyers regularly file cases in this jurisdiction and are familiar with these local rules. In Etowah County, you are required to take a parenting course and receive a certificate of completion in order to obtain your divorce decree. This parenting course may be waived in extraordinary circumstances, or you may be able to take it locally if you live in another state. But if you live in Etowah County, and do not have a sufficient reason to be exempted from this requirement, then you will have to do the course in order to receive your decree. There is also a filing fee that is required to be paid to the court when your divorce is filed, and in Etowah County it is about $203 . This fee must be paid prior to your divorce being filed and is not included in the flat fee price listed on this site in uncontested divorces. Our Gadsden divorce lawyer Steven Harris, regularly handles divorce cases in the Gadsden / Etowah areas. The Harris Firm is a proud member of the North and Central Alabama Better Business Bureau. Feel free to take a look at our profiles with these local organizations for reviews from former clients. If you are seeking a divorce in Alabama, then give our Gadsden divorce lawyers a call today.